Atlanta Home Makeover can create a modernized bathroom that is well-designed, comfortable and combines well with the visual aesthetics of the rest of your home. From small and cozy to spacious and lavish bathrooms, an Atlanta Home Makeover bathroom renovation will treat you in well-deserved style. Bathroom designs are not limited by space considerations. Fixtures can be customized into existing space to turn the most basic bathroom into a luxurious retreat. Texture, color, and dimension are defined by our experienced designers with the creative use of floor and wall tile, decorative fixtures, counter tops and bathroom accessories. Cabinetry provides elegance and storage and is available in a variety of styles and finishes. Detail found in hardware, lighting and mirrors reinforce the overall design concept. Whether your space is large or small, Atlanta Home Makeover will combine design elements with innovative materials to make it spectacular in comfort and appearance. We combine high standards with creative thinking to ensure the best quality finished product that matches your vision and day to day needs. 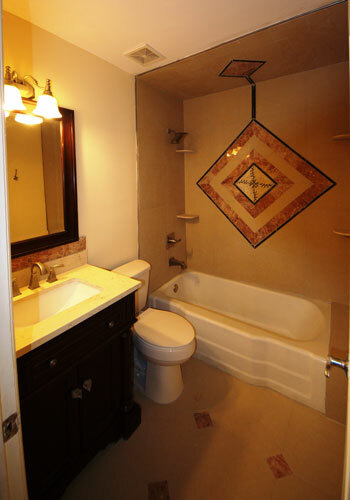 Outdated fixtures, tile and bathroom cabinets are simple to update when you have our experienced experts. 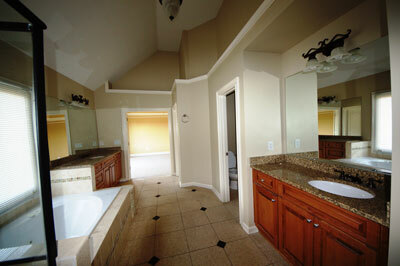 Contact us today to schedule a consultation meeting with our bathroom design experts.